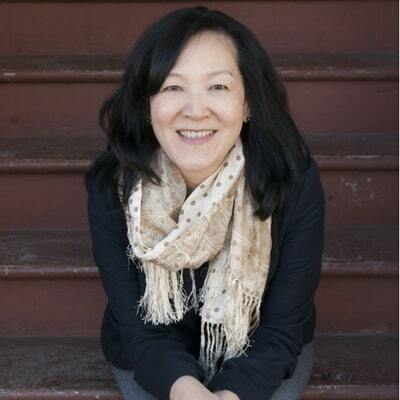 J anie Chang writes historical fiction with a personal connection, drawing from a family history with 36 generations of recorded genealogy. She grew up listening to stories about life in a small Chinese town in the years before the Second World War and tales of ancestors who encountered dragons, ghosts, and immortals. Her first novel, THREE SOULS, was a finalist for the 2014 BC Book Prizes Ethel Wilson Fiction Prize and nominated for the 2015 International Dublin Literary Award. Her second novel, DRAGON SPRINGS ROAD, was a Globe and Mail national bestseller and nominated for the 2019 International Dublin Literary Award. 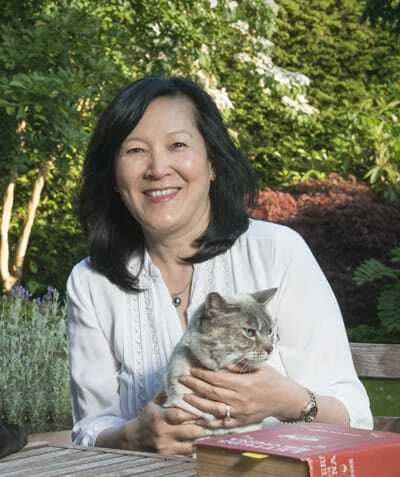 She is a graduate of The Writer’s Studio at Simon Fraser University and a proud member of Tall Poppy Writers, a tribe of authors with a mission to connect readers with great books while supporting some good causes. She is also the founder and main organizer of Canadian Authors for Indies, a national day of support by authors for independent bookstores, which ran from 2015 - 2017; this event is now run as Canadian Independent Bookstore Day by the Retail Council of Canada. Regrets. If I’d known historical novels would be my chosen genre, I would’ve paid more attention to Chinese history at a younger age. And I wouldn't have fought so hard against learning to read and write Chinese, but when you're a teenager that wouldn've been like admitting your parents were right. The Travel Bug. My father's career took us to wonderful and interesting countries and eventually we immigrated to Canada. I love to travel and see new places. So when a job came up that gave me the opportunity to live and work in New Zealand, I jumped. But after three years in NZ, even with trips to Australia and Fiji, I got homesick. And came home to Vancouver, Canada. Inspiration. My father was a wonderful storyteller and our family history has been the best and most unique legacy he ever could've left me. I grew up listening to stories about his childhood in the town of Pinghu in the years before the Second World War. My favourite stories were about our ancestors: the ancestor who saw a ghost, the ancestor who met immortals, the ancestor who saw a dragon, the story of the ghost lanterns and many more. But I always knew my first novel would be centered around the story of my grandmother – and when I finally got around to writing, that’s exactly what inspired Three Souls. Both Three Souls and Dragon Springs Road incorporate anecdotes from family history, so inevitably supernatural elements nose their way into the novels. Getting Here. It took a while to make the commitment to writing a novel. For one thing, when I was 17, my eldest brother gave me a very helpful lecture. It was called A Husband is Not a Financial Plan. The key message was that A Woman Should Always Have a Career So That She Can Leave Her Husband If He Turns Out to Be a Jerk. So I got a degree in Computer Science and had a wonderful and satisfying career in the technology sector. But even there I defected from the technical to the more creative side of the business, starting out in systems engineering and finishing up in Marketing. I have a wide streak of geek, but after decades of putting off my writing ambitions it was Time to Do Something. I applied for The Writer’s Studio at Simon Fraser University with the goal of writing my first novel during that one-year program. You can all stop laughing now. Fortunately, even though I only had 75% of a work-in-progress when I met her, my future literary agent was willing to keep the lines of communication open. When I finally sent her the finished manuscript, she agreed to represent me. If you have a burning, and I mean positively incendiary, desire to write a book that gets published, don’t just talk about it. Write, even if it looks like crap at first. Commit the time. Then take some writing classes to shortcut the learning process because you need to learn about story arc, pacing, character development, and countless other elements of the craft. Set realistic expectations by learning about the business of writing. Do your homework – the Internet is full of useful resources. If your biggest fear is seeing yourself in a rocking chair at age 95 saying “I wish I’d done something about writing that book”, do something before it becomes soul-destroying. Write. Collect family history. If your parents, grandparents, or older relatives are still around, ask them about their lives. Oral history is so ephemeral. Someone dies and that knowledge is lost. Someone loses their memory and that knowledge is lost. You may not care about it right now but when you’re older, believe me, it will matter. We all want to know where we came from. When we’re mature enough to stop being self-centred (speaking for myself), we wish we had known our parents better. You can try recording their stories – that’s what I asked my father to do. As a child I had listened to so many family stories but what about future generations who will never meet those sources of family history?